It’s long known that coloring is not only beneficial for kids, in fact, there are many coloring books dedicated especially for adults! While we love all of these publications, here at Anna Grunduls Design we’re doing things differently. 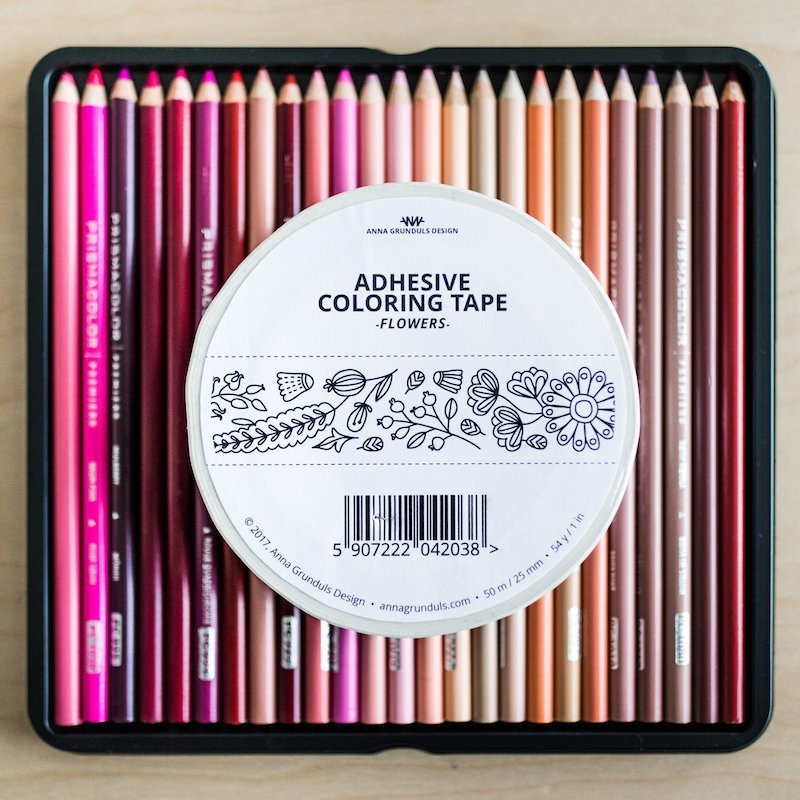 Forget regular coloring pages and welcome to the world of coloring gadgets! We manufacture posters, cards, stickers and even adhesive tapes that can be colored in! 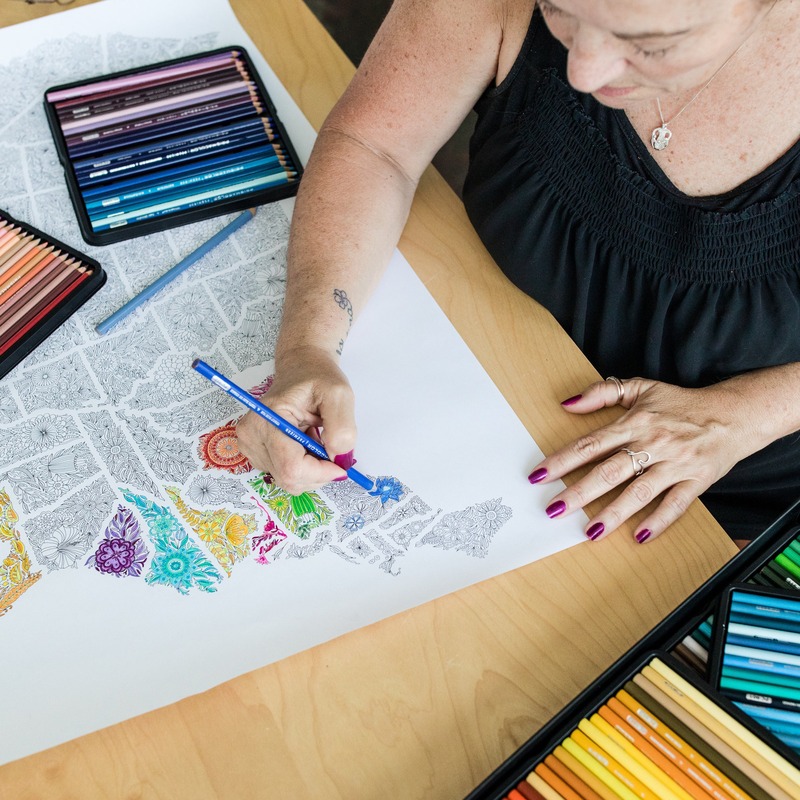 Adult coloring requires patience and creativity and we’re giving our customers the chance to show off theirs! Make sure to register for a wholesale account at the bottom of this page to carry these amazing products in your store! Yes, wholesale orders start at $50. If you add less products to your cart, you’ll still be able to purchase them, but wholesale pricing won’t apply. We support various payment methods including PayPal, debit cards, credit cards and standard wire transfers. Shipping times vary, based on your location and the shipping method you choose. Estimated delivery times are listed on the checkout page, so you can pick the shipping method that works for you. Can you customize the packaging? We don’t offer white labeling, but we’re more than happy to customize the packaging based on your needs. Need flat packaging for posters? Holes to hang up the sticker packs? No problem! We adjust the packaging to fit your display. Just reach out via the chat button at the bottom of this page and let us know how you’d like to arrange our products in your shop.